Concord has built a dedicated research team of highly experienced professionals with diverse backgrounds. Concord advises under a single investment process ensuring that all clients benefit from our “best ideas,” customized to their particular needs. The Investment Strategy Group (“ISG”) oversees client portfolio strategy based on Concord’s market point of view and dynamic quarterly outlooks. The ISG consists of Concord's consulting and research professionals who are responsible for asset class research, strategic (long-term) and tactical asset allocation (relative value), investment manager selection and ongoing manager oversight and ratings. All of Concord’s research activities are designed to be forward looking and proactive in nature. Average ISG industry experience exceeds 15 years. Our edge in research is based on long term, industry-wide experience coupled with the practical application of a well-researched investment management process. 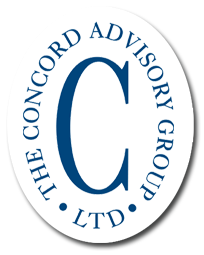 Concord’s research staff conducts ongoing personal meetings with investment managers. These are performed both at Concord’s facilities and at the managers’ offices. Concord does not maintain a “platform” of managers. Concord maintains a broad scope in monitoring management firms so our clients can access the managers that best fit their needs. Our extensive proprietary database details the performance and attributes of each manager, analyst comments, meeting notes and manager rating changes.